Over 20 years in sound audio industry, Mr. Pongtong Malakul na ayudaya, who founded Magnet in 1985 was engineer, inventor and artist with a capital of one hundred thousand Baht. Magnet has created a legendary audio equipment that resemble the artistic masterpiece(this bit is taken from magnet’s website, let’s see if their products do resemble artistic masterpiece). 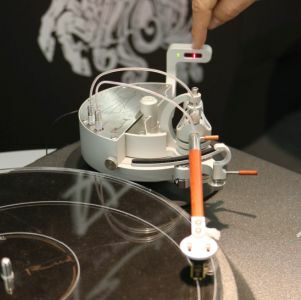 However Magnet, is not to be mistaken with Magnat, another audio company based in Germany! Magnet is actually a technical partner for Marsh Sound Design LLC, whom you may know as Richard N. Marsh, an audio guru with amplifiers bearing his name. 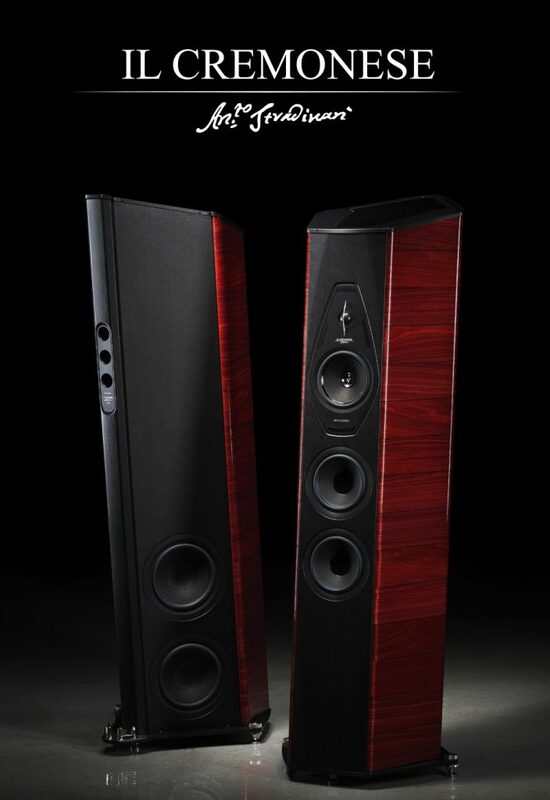 Hifi Creations is the company representing Magnet in Malaysia. Victor(boss of Hifi Creations), and very friendly chap, is a fan big amps and even bigger speakers. So he tells me that he has an amp that’s right up my alley, and hopes to see how well will the Magnet MA400 Limited Edition power amp will go head on against my resident muscle amp Plinius SA250 MKIV. This is a well built amp, with rounded corner heat sinks(a nice touch, as it doesn’t cut in to fingers like my Plinius) ruining the entire length on both sides. Viewed thru the ventilation slots of the top panel, this amp seems to have all the hardware to mean the business, with a big donut toroidal transformer occupying the front half of the amp, and 4 big power storage caps sharing the other half towards the back panel. The input board is at the back and the power amp circuit at both sides, where the heat sinks are located. 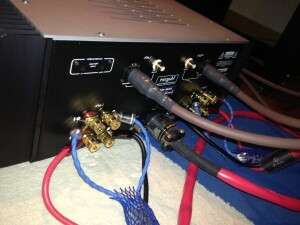 Victor brought the Magnet MA400 to my place, it was a heavy amp packed in double box. 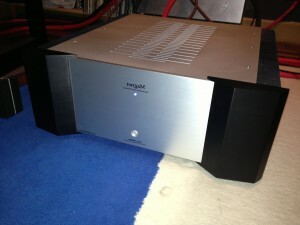 We removed the amp from it’s packaging, and were greeted by a very solid, no nonsense looking silver & black behemoth. The satin silver front panel only has a single power button and a LED indicator. The business end of the amplifier, i.e. the back panel is much packed with the usual IEC power input, RCA or XLR inputs & switch, plus 2 pairs of speaker cable terminal for output. Also featured is a 12V remote trigger, useful for those custom install AV folks. Now, let’s get to the nitty gritty, the sound quality bit. Does the MA400 Limited Edition live up to the positive impressions so far? The answer is not as straight forward as it would’ve been actually. Using the Magnet to drive my pair of PMC IB2i speakers using bi-wired mode, the initial smooth and laid back sound with a refined top end does seem like a good start. In fact the honest tonality and highly transparent nature of the Magnet some how reminded me a lot about the Bryston 4B SST2. Upon initial start up the Magnet does seem a little hissy, but it starts to settle down nicely after about 25 minutes of warm up or so. The hiss will be replaced by a quiet back ground, once the amp is warmed up. The highs are smooth and airy, never splashy or aggressive. The mids are thick and mellow, favoring deep male vocals like Don William’s. 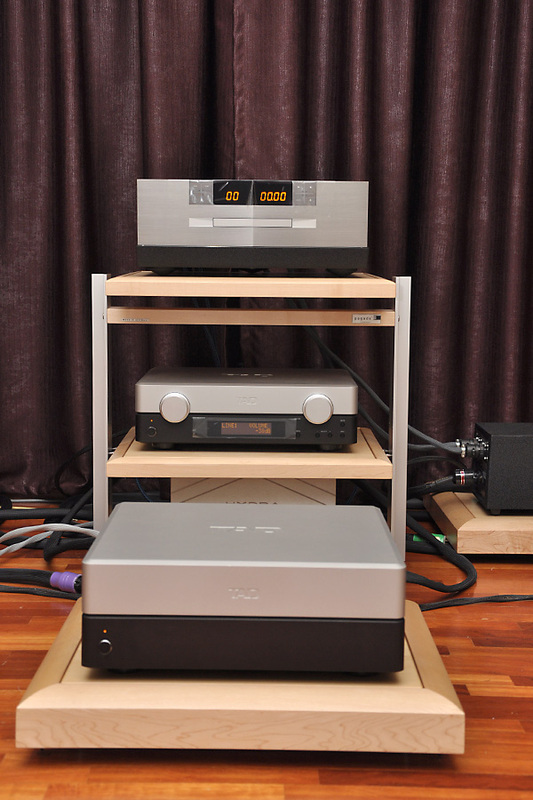 Audiophile favourite like Tsai Ching is not short changed here either. The bass could go a little deeper and kick harder compared to my Plinius, but that would not be fair as the latter is rated by 50W more in full class A. 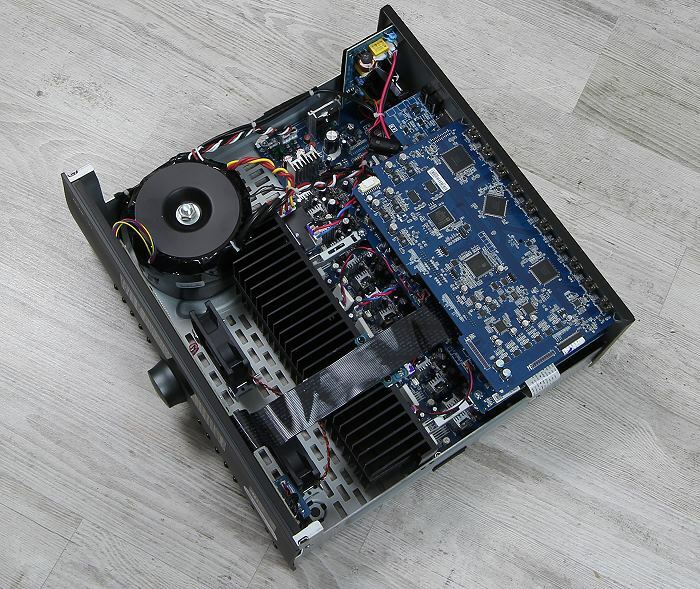 The Magnet is a 200W class AB amp and runs relatively cool at the heat sinks through out the review period. The MA400 threw a big layered sound stage that’s always laid back, with plenty of spatial cues of the recording venue, be it studio or “live”. This is evident when I played Round Up recording by Telarc, and the whole orchestra was laid bare before me in my room’s front wall, with lots of ambiance and air, which makes it very convincing. The other thing I found out was that this amp’s protection circuit kicked in a little too early, as the blue LED would blink each time the orchestra goes in to it’s final crescendo, in the William Tell Overture. While the LED blink, there’s a feeling the highs just hardened a little, drying up what ever “air” that was in the sound stage. 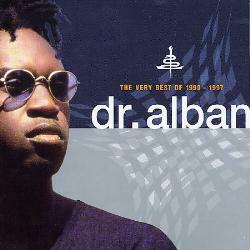 Dr Alban proved too much for Magnet MA400 to handle, at clubbing volumes that is! Playing Dr Alban’s the Best Of swan song album, an Euro dance CD, the Magnet frequently hit it’s limits when the protection circuit kicked in. Nevertheless the music never stopped during it’s time here in review. Contrary to normal practice, I never back down on the volume each time the protection circuit activated. Play some nice chamber music, like Deutsche Gramophone’s Paganini For Two and the Magnet is in it’s element. The slightly warmish mids and smooth highs will always go easy on the violins and cellos. The highly transparent nature of the amp let’s every note take rise and fade before starting on another. I would sum up that this review would’ve probably read more positive if I had some easier to drive(i.e., more sensitive) speakers, but none was available at the time of review, so this will have to be it. 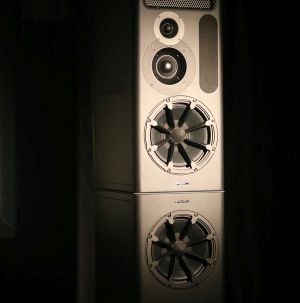 Retailing at RM$12,800/unit the Magnet MA400 is not considered expensive, and it can actually sound pretty good, when partnered with right speaker and music material. It’s well built to last and with the factory located in Thailand, you don’t have to send it far for trouble shooting, not that I think it’s gonna need it(not for a long while anyway). I have a strong feeling we’ll be seeing a lot more of Magnet in the future. 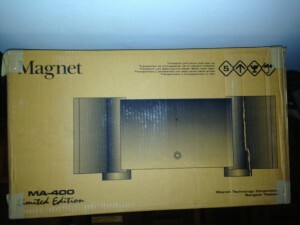 Magnet is sold by Hifi Creations, contact Victor at 012-2962799.